I was dismayed to see that my last blog post was pretty much exactly one year ago. This gives the impression that I’ve stopped writing, which is false. Martian Born is still moving along, though more slowly than I’d like. I’ve talked it over with someone who was involved in a simulation of living on Mars for NASA, which was a great experience, and I hope to get more information from her as the book progresses. Otherwise, it’s now at about 80,000 words, which is 25,000 more than the last time I updated it. But it’s slow going. Every new bit of information I uncover in my research forces me to go back and revise what I’ve written. After that conversation I mentioned above, I “moved” the colonies to lava tubes. They’re now at the bases of Uranius Tholus and Ceraunius Tholus, and their spacesuits have been redesigned. You might not think the latter would be a big deal, but it affects the way they enter and leave the colonies, and a number of subtle details. The first month after I got back from the 25th anniversary of Viable Paradise this past October was all about rewriting. My big concern is that there just won’t be a market for it, once it’s done. 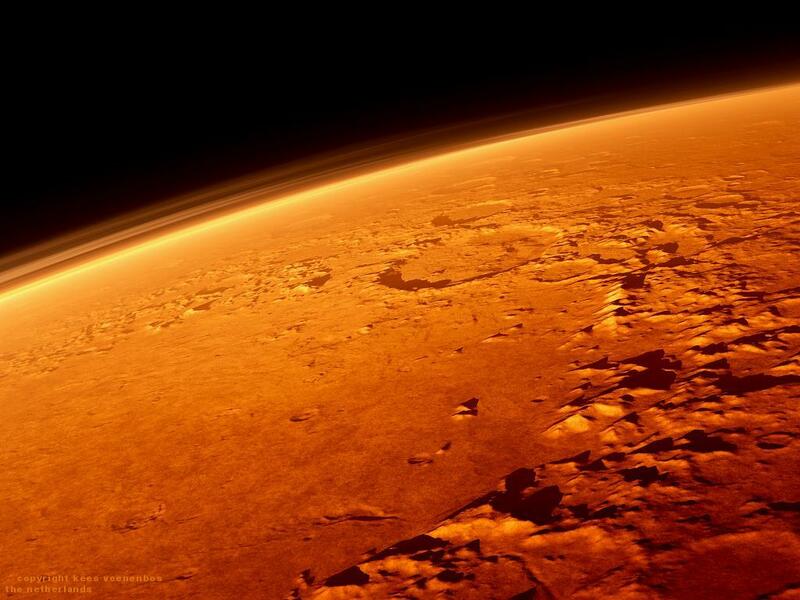 There have been a ton of YA books about Mars since The Martian came out. The biggest selling point of Martian Born is probably its realism, but any day now another book could come out that would challenge that. The other reason things have been going slowly is that I lead a double life — I publish adult MM Romance under the name Jamie Fessenden, and that’s been taking up the bulk of my writing time lately. (These books generally fit into the MM Romance genre.) That doesn’t mean I don’t want to write YA anymore. But I’m a bit ADHD when it comes to jumping back and forth between projects. Whatever’s shiniest. One of the projects I’ve been planning is a new trilogy in the world of Dreams of Fire and Gods, which takes place centuries before the events in those novels, and details the assassination of the emperor and the formation of the samöt. In the meantime, I’ve been trying to finish up a novella called Rosem, and it follows the exploits of Sael, Koreh, Donegh, and Gonim in the months following Gods. A new character has also been introduced: Ven, one of the two soldiers Gonim dragged along to the confrontation with Imen at the barrier. When we first meet him, he is in bad shape…. Then Gonim heard a faint sound in the darkness. It was the bell near the gate to the courtyard, which announced visitors to the Temple. Father Kosün had ordered the gate locked after dark, since there weren’t enough men to keep watch, but after the bell rang a second time, Gonim’s curiosity got the better of him. He didn’t have the key, but he could talk to the visitor through the bars. It would do no harm to see what he or she wanted. Gonim slipped the necklace back over his neck. There was no time to bother with the loincloth, but he pulled his robe over his head. Then he hurried to the gate. “I saw you…. You were torn open—burned! You had no heart! But somehow… you were saved… and Imen….” He stopped talking, perhaps afraid he was making no sense. The man seemed on the edge of hysterics. Was he insane? Had what he’d witnessed driven him mad? It was, perhaps, a bit foolhardy to meet a stranger alone in the city, far away from the monastery—especially one as disturbed as Ven seemed to be—but Gonim didn’t like the idea of having a conversation about that day where the other tadu or caedan might overhear. Perhaps when Ven had calmed down, but at the moment he sounded like a madman. His corroboration of Gonim’s claims would do nothing to persuade the other residents of the monastery. 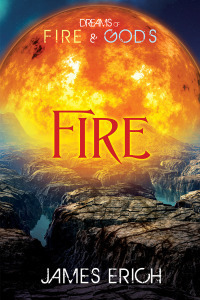 Dreams of Fire and Gods is a trilogy of high fantasy novels set in the kingdom of Dasak, which is on the brink of civil war. At the same time the emperor and his regent in the east prepare for battle, another war is brewing—a war between the gods that threatens to completely destroy the kingdom and leave no survivors. When these novels were first published, there was a long gap between books two and three, leaving readers hanging. But now Harmony Ink has now released the entire trilogy as one low-cost bundle! Get the entire saga for just $9.99! In the present day, tensions escalate between the emperor and his regent to the point of war, which will be nothing compared to the war that comes with the Taaweh’s return. Join the regent’s son and apprentice mage Sael and his vagabond lover Koreh as they dodge assassins, rescue the Taaweh queen, and take journeys through the underworld in their quest to save their world from being destroyed in another confrontation between the gods. “I SAID I was sorry,” Koreh repeated, exasperated. Sael stood facing the fire with his undertunic held out to catch the heat. It wasn’t very modest, but he didn’t think Koreh could see anything from where he was standing. Geilin had grown tired of the argument and lay down to sleep after drinking his tea. The old man lay wrapped up in his cloak, facing away from the fire. Sael glared at him. Was this Koreh’s idea of an apology? Koreh’s derisive snort was the last straw. Sael turned and stalked over to the edge of the clearing. After searching the underbrush for a moment, he found what he was looking for—a sturdy branch about the length of a walking staff. Koreh was watching him with a smirk on his face when he returned to the fire. Koreh hesitated only a moment before accepting whatever challenge Sael was offering him. He approached the boy, looking him dead in the eye before reaching up with one hand to grab the staff. “Yes, little lord.” Koreh’s voice was mocking. The apprentice vönan closed his eyes and began chanting under his breath. It wasn’t easy, because in order for Koreh to grasp the staff, he had to press his body against Sael’s. And he was still naked. That was incredibly distracting, even with the linen undertunic separating their bodies. But the thought of further humiliation if he failed forced Sael to focus. In the dark, with Druma obscured by clouds, Sael knew his power would be very limited. He could feel the magical energy he’d stored up during the day like a fire burning in his chest and head, but not nearly as hot as he often felt it—the pervasive fog had prevented him from drawing much power, even at midday. Still, it should be enough. Sael chanted under his breath, ancient words given to men by the gods that simultaneously unlocked channels in the body for the energy to flow through and protected the body from the energy it channeled. This was one of the reasons the training of a vönan was such a slow, painstaking process—it took years to learn how to channel the energy safely before a master would dare allow his pupil to experiment with powerful spells. Every apprentice at the academy had heard horror stories of overzealous pupils bursting into flames. The stories may not all have been true, but the masters never bothered to contradict them. When the chant ended, Sael opened his eyes to find Koreh watching him with apprehension. Clearly the magic of the Stronni still made him very uncomfortable. He looked as though he were about to say something when the staff suddenly jerked upward, lifting both young men off the ground. Sael had been prepared for it, but Koreh panicked for a second, scrambling for a tighter grip. Suddenly he gasped as the staff flew upward again, this time coming to a stop just a short distance above the treetops. Koreh hooted in delight. Now that the spell had been cast, it took little effort for Sael to control it, like turning the wick up on a lantern. He felt the energy flowing from his core increase and the two of them began to soar upwards. Higher and higher they climbed, until the light from the campfire seemed far, far below. Despite the night being overcast, the Eye cast a soft blue-gray light over everything, diffused through the clouds, and the gently waving treetops stretching off into the distance all around them seemed ethereal and beautiful. He feared for a moment he’d overdone it. If Koreh lost his grip, Sael wasn’t sure he’d be able to save him from falling. But Koreh was laughing now like a young child being spun around in his father’s arms. He was loving this and had dropped all pretense of superiority. When his eyes met Sael’s, Sael saw admiration in them for the first time. And he knew that he would do anything for that look. But then he glanced past Koreh, and what he saw made his blood run cold. A vast number of tiny spots of light dotted the ground in the distance, hazy in the mist but still visible. They weren’t the lights of Mat’zovya—he could see those on the far side of the lake. These were just beyond, in the fields between the old city and the new. They had to be campfires. “We’re being followed!” he exclaimed. Well, now I’m not so sure. I’ve done some digging and it appears that these types of viruses don’t survive for more than a few weeks in the body—our immune system does a fair job of wiping them out. And they don’t live outside the body for more than a couple weeks, either. As far as I can surmise, the common cold viruses stay alive by hopping from person to person, so that there are always people out there harboring the viruses, keeping them alive. So how would a population of about 20 people keep the cold incubating? After a matter of months, any cold virus going around would effectively be obliterated. Fifteen years later, it seems very unlikely there would be any kicking around at all. Well, it’s a question I haven’t been able to answer with any certainty. Maybe I’m wrong and there’s a way for the common cold to stay active in a small population. But in the meantime, a Facebook friend supplied me with a better possibility: the Epstein-barr virus. This is the virus we commonly associate with “Mono” in high school or college. It’s characterized by fatigue, possibly a sore throat, a fever, swollen lymph nodes, etc. The fatigue can drag on for several weeks, even after the other symptoms have subsided. It turns out, nearly 90% of humans have had the virus by the time they reach adulthood. We don’t all notice it, however, because it doesn’t always manifest symptoms. If you catch it as a child, it’s likely you won’t ever have symptoms, or the symptoms will be mild enough your parents might think you just have a cold. Unfortunately, as we get older, the symptoms can be more severe. This is why some teenagers or college students who get the virus experience “Mono,” that fatigue that goes on for weeks and weeks. In a small percentage of cases, the symptoms can be far worse. Epstein-barr has been linked to encephalitis and several types of lymphoma. It would therefore be a serious concern for the colonists. And the best part (from the perspective of my story) is that it never leaves the body, once you have it. 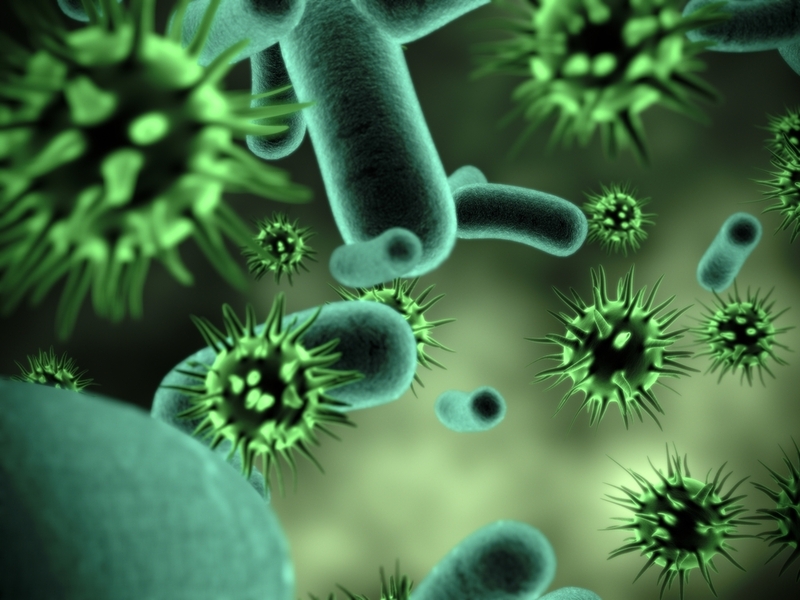 The virus can remain dormant for decades, until some stress on the body causes it to reactivate. At which point, it can be passed through contact with the infected person’s saliva—something as simple as a mother kissing her child, someone taking a bite of something and sharing the rest, or a parent picking up toys that have been drooled on. So after researching this, I’ve had to go back and rewrite a couple chapters. When it was just the common cold I was dealing with, I could play it for humor. Now it’s not going to be a horrible tragedy for the colonies—that would derail the story too much—but they’ll have to take it a bit more seriously. This blog has been quiet for a very long time, which I didn’t intend. There’s actually been quite a lot going on. Unfortunately, most of it has been under the pseudonym I use for adult novels—one novel wrapped up, and two short stories. I’ve also been doing a little plotting for another novel idea, but I won’t go into that just yet. I attended the first Rainbow Con this April, which was terrific. Next year looks to be even larger and more fun. Unfortunately, I came into contact with a family of sick, coughing children on the plane and came down with something like strep throat immediately after the con. That laid me up for weeks, even with heavy antibiotics, and unfortunately prevented me from attending the Harmony Ink workshop this year. But they mailed me my “swag” and several authors wrote nice notes to me inside a notebook, which reminded me what a wonderful bunch of authors we have. In the meantime, as a favor to a mutual friend, a mainstream agent agreed to look at the first three chapters and synopsis of Martian Born—not to represent it, but simply to give me some feedback about whether it would be marketable as a mainstream YA novel. Unfortunately, though I was told it was nicely written and absorbing, it wasn’t very fresh. Since I began working on the novel, several YA novels about Martian colonies have come out, such as the best-selling Red Rising. That sort of thing is always depressing to a writer. We come up with what we think must be an original idea, because we haven’t seen it anywhere or been able to find similar novels with searches. Then, while we’re working on our masterpiece, a bunch of books hit the shelves with the same theme. In most cases, this has nothing to do with people copying from one another. But we all see the same news articles going by, we’re all observers of popular culture, so we tend to come up with similar ideas at the same time. 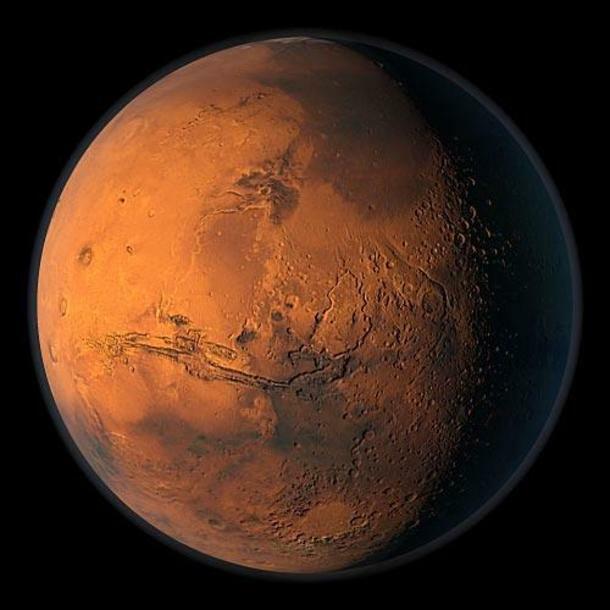 Mars has been in the news a lot in recent years, and there has been a lot of talk about establishing a Martian colony, so of course a number of authors start thinking about that as a good basis for a story. From that point, certain things click into place for all of us—dust storms, two moons, sub-zero temperatures, water frozen into the soil. Some of us will go in one direction, some in another. My story is, as far as I can tell, more scientifically accurate than a number of the stories on the market now, but that’s not an enormous selling point. Neither is a gay protagonist, from a mainstream perspective. However, from my perspective, a gay protagonist is an enormous difference that sets my story apart from others. So I intend to finish it. Even if it the most original novel to come out this year or next, I’m still convinced it’s a good novel. It’s worth finishing, and I think it will be worth reading.